And with the widespread use of smartphones, there has been an ease to the process of giving, as people use their devices to research, shop, but more importantly donate. According to a report in Forbes in 2013, the event of such online services as PayPal had led to an increase in the amount of charitable donations being given. But Nasif said there was a noticeable increase in charitable work during the holy month. All Muslims, who can afford it, are required to contribute a proportion of their wealth in the shape of Zakat - one of the five pillars of Islam. 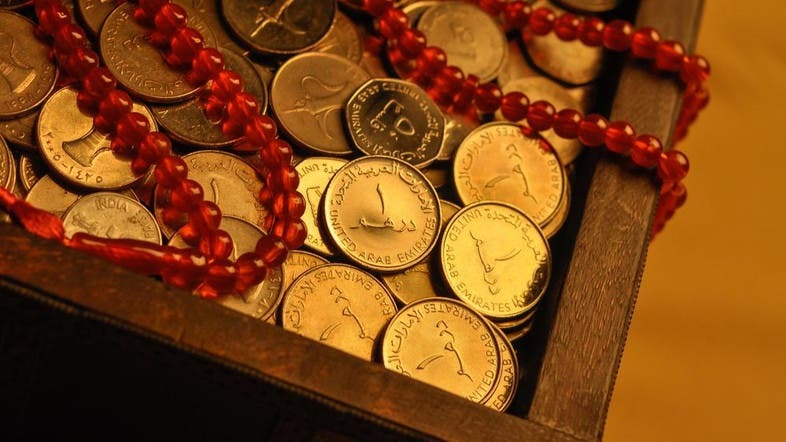 Nasif explained: “There are two types of Zakat. At the end of Ramadan there is Zakat al fitir. The other type of Zakat is the two-and-a-half percent of your income. You don’t have to necessarily do that in Ramadan. He said Muslims believed it was preferred and encouraged for them to be charitable, but that ultimately it was up to the individual whether they did. Nasif added that Zakat al fitir also required every Muslim to feed another on the morning of Eid. So what types of causes do people generally contribute to? Nasif explained there was a range. As Nasif explained people engage in charitable work during the holy month of Ramadan, such as cooking for people that are less fortunate. Many mosques and community centers offer Iftar - the meal that breaks the fast every day. And many international and national charity organizations take advantage of this month to provide for their various causes. In the UAE there is a particular drive by the community to help those less well off, including laborers – each year hundreds donate food, bedding, toiletries and clothes which are then handed out to workers as care packages. Saher Sheikh, from Adopt-A-Camp foundation, the international organization that works on improving the living conditions of labor camps, said many people participated in the different programs they offered, such as workshops in English and hygiene, as well as scholarship programs. “Whenever Ramadan rolls around, we see a huge spike in the corporate social program. A lot of companies get in touch, they tend to push funds during Ramdan,” Saher stated. “During our work, I get to meet the nicest people,” she added. Regulars in Dubai’s shopping malls will be all too familiar with the collection boxes where people are able to drop off items they want to donate – ranging from clothes – to books, and technical goods. The boxes are provided by Dubai Cares, which carry out the collections annually during Ramadan. Dubai Cares works to improve children's access to quality primary education in developing countries. Launched by Dubai Ruler Sheikh Mohammad Bin Rashid Al Maktoum in 2007, the charity is working towards the UAE's commitment to achieving the U.N. goals of guaranteed universal primary education and gender equality by 2015. Last year Dubai Cares held the ‘What If’ Campaign, where the difficulties children face in developing countries and the impact that lack of education holds for their future were highlighted. People were encouraged to donate 50 dirhams to buy a colorful brick, which was then used to help build a mock classroom.